Home » Tin » Senoussi. 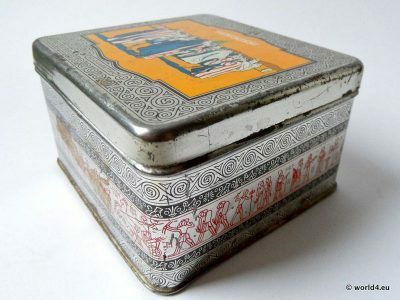 Cigarettes Tin Box 1920s. 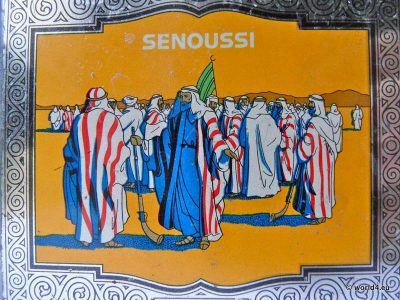 Senoussi Cigarettes. 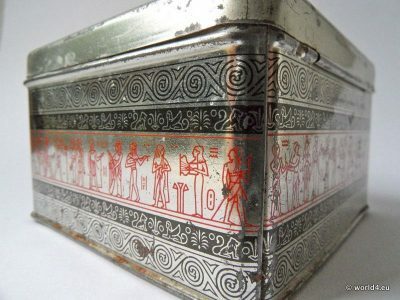 Tin Box 1920s. 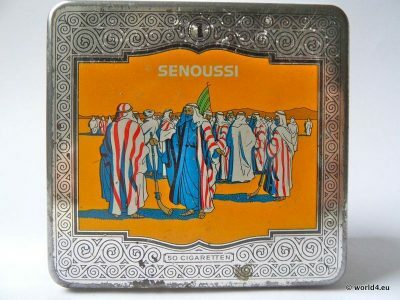 Colorful, decorative illustration of Bedouin tribe and egyptian symbols, collectible Tobacciana. 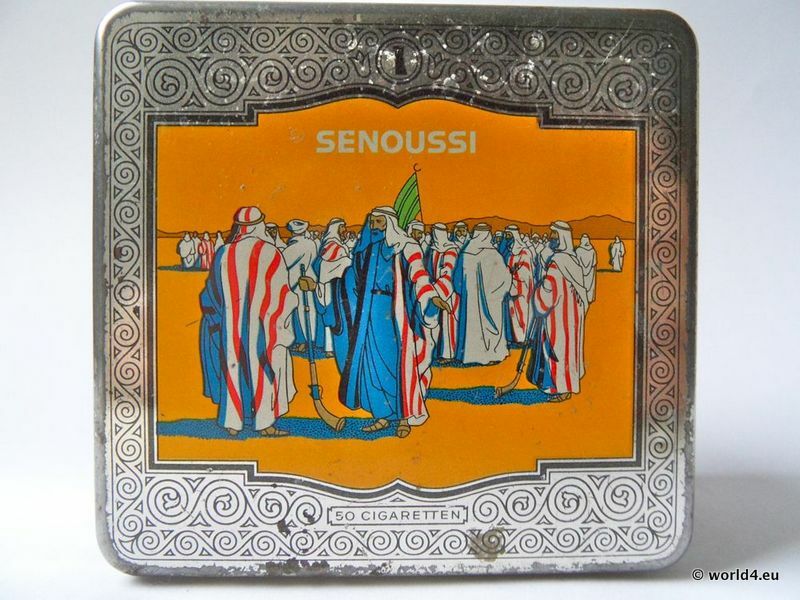 This cigarette case from Senoussi shows Bedouins and is one of the most beautiful cigarettes tin boxes of this type. Original produced by the Erfurt cigarette manufacturer Philipp F. Reemtsma and Hermann F. Reemtsma in 1921. In the year 1923, the company moved to Hamburg. Marketing, Graphic Design, was developed under the leadership of Hans Domizlaff.